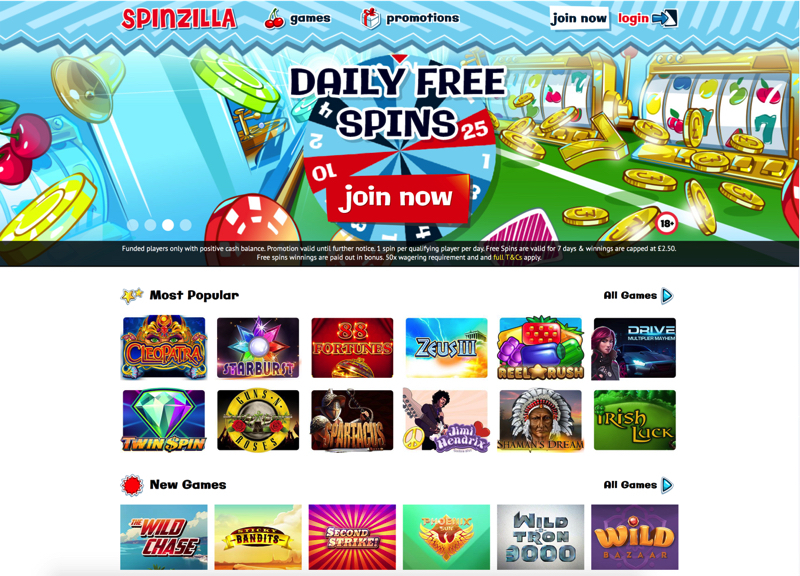 Spinzilla is a brand new online casino with a distinctive theme and modern instant-play interface. It features games from a number of highly popular platforms through the Dragonfish engine, including IGT, NetEnt and Novomatic, with more than 250 different slots, table games and other casino games to choose from. Spinzilla is licensed by the governments of Gibraltar and the UK. Spinzilla is powered by Eyecon, IGT, NetEnt, NextGen, Novomatic, OpenBet, PariPlay, Proprietary, SG Gaming and WMS software. Existing players can enjoy daily specials, daily free spins, a refer a friend bonus and a loyalty plus a VIP program. Spinzilla support the following banking methods: Bank Transfer, EntroPay, Maestro, Mastercard, Neteller, Paysafecard, PayPal and Visa. The withdrawal limit is £5,000 per month. The casino is in English, Finnish, Norwegian and Swedish. The helpdesk can be reached by email and phone (not 24/7). Due to legal restrictions residents from the following countries are not allowed to play: Belgium, Denmark, France, Gibraltar, Italy, Spain, Turkey and the USA.